SUGIZO made his debut in May 1992 as composer, guitarist, and violinist of the band LUNA SEA. In 1997, during LUNA SEA’s roughly yearlong break,SUGIZO began his career as a solo artist. LUNA SEA, whose legendary talent left an indelible mark on the rock scene of the 1990’s, disbanded in late 2000. SUGIZO resumed his solo work in 2001, expanding his horizons to include such diverse fare as soundtracks, acting, and contemporary dance. From an extremely young age SUGIZO received advanced training in violin, musical composition, and classical music. His thorough understanding of composition and innate skill allow him to create guitar and violin performances filled with an inner light that pull the listener from the present moment into the sublime. Respected for his beautiful, deep, and cosmically spiritual sound design, SUGIZO creates his own scene while smashing genre boundaries apart. His refined artistic sense and powerful presence have brought him popularity both in Japan and overseas. An activist as well as a musician, SUGIZO also takes part in a wide variety of anti-war and environmental activities. On December 24, 2007 – a Christmas Eve blessed by a perfect full moon – LUNA SEA re-united for just one night. Their concert at Tokyo Dome dominated the musical scene at the end of that year. The album COSMOSCAPE, a collection of SUGIZO’s best solo work, was released on July 23, 2008 to great praise and admiration. He then held a long-awaited solo concert on December 19. The DVD from this show, called RISE TO COSMIC DANCE, is a true incarnation of “SUGIZO Music” and was released on March 25. SUGIZO released a series of new digital singles starting on December 16, 2009 with “MESSIAH” (co-released with “TELL ME WHY YOU HIDE THE TRUTH?”) followed by “FATIMA,” (co-released with “DO-FUNK DANCE”) on January 27, “PRANA” on February 24, and “Dear SPIRITUAL LIFE” on March 31. For four continuous months his songs reached #1 and #2 on the iTunes electronic music ranking. LUNA SEA announced their “Reboot” in 2010. They held their first world tour and also played a series of concerts at Tokyo Dome over three days, including an unprecedented show for which no admission was charged. Along with his solo work, SUGIZO is currently involved in a wide variety of projects on a global scale. He is part of legendary trance band JUNO REACTOR, psychedelic dub jam band SHAG, and shamanic electronica unit S.T.K. (Sensual Technology Kooks). SUGIZO also played support guitar for X JAPAN, who reformed after a ten year absence, before officially joining the band as guitarist. On April 13, SUGIZO released two new digital singles (“NO MORE NUKES PLAY THE GUITAR” and “The EDGE”), followed by “MIRANDA” on June 29 and “NEO COSMOSCAPE Remix by SYSTEM7” on July 27. “ENOLA GAY” w released on August 15. 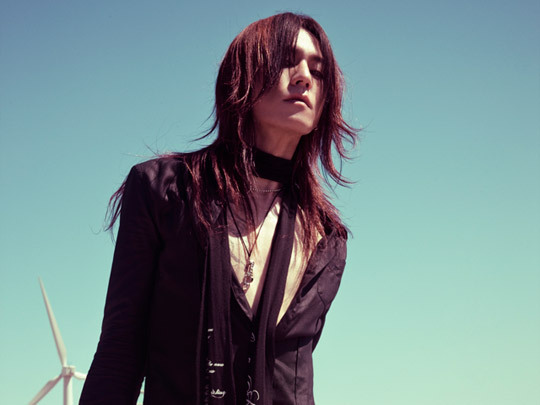 SUGIZO is releasing a series of singles at a furious pace in 2011.